When my one-year-old Western Digital 500GB external hard disk drive died last week, I went through the usual five stages of grief. I kept turning the computer off and on, unplugging and plugging the hard drive in different sockets, cajoling it - then waited a day and tried again. My hard drive wasn't dead - it was just playing hard to get. When sweet talk failed, there was always verbal abuse. Then physical abuse. OK, I just needed the hard drive to be revived long enough for me to rescue my 19,044 iTunes tracks. And then it could go to hell as far as I was concerned. I tried the Western Digital website and found a number for its "Data Recovery Partner" in Singapore. The woman who answered my call said the company charged a minimum of $500 to recover my data. That was nearly three times what I paid for the hard drive itself. I hung up and sobbed. Years of ripped and (legally) downloaded songs - gone, just like that. That would teach me not to back up regularly. My wife was more upset by the loss of hundreds of family photos stored on the hard drive, including those of our children's birthdays. Her priorities were somewhat screwed up. I stopped talking to the hard drive, disconnected it for the last time and decided to buy a new 1TB hard drive at Comex. Ah, the miracle of Moore's Law. Then I came home from work the next day to find my wife unnervingly happier than she should be. "Good news!" she said. "I fixed the hard drive!" Huh? What was she talking about? "I just put it right under the air-conditioner." I seriously thought she lost her mind. Maybe she was in the sixth stage of grief - bonkers. Then she showed me how she had already transferred my iTunes and our photos from the now undead hard drive. I seriously thought I had lost my mind. Was I in some sort of alternate reality? The air-conditioner? My wife explained that she had read in an Internet forum a suggestion to place the dead hard drive in the freezer. But she was reluctant to put a dead thing that wasn't meat next to the durian ice cream,, so she put it under the air-conditioner instead. And to her amazement, it worked. I was never more impressed by my wife than at that moment. Giving birth and raising two kids were nothing compared to this. She might've saved me 500 bucks. "I used to be an IT professional, you know," she reminded me. Yes, I tend to forget that before she became a full-time mother nine years ago, my wife used to write programming code for mainframe computers at HDB and National Computer Systems. Now her hobby is sewing bags. When the hard drive warmed up, it died again. 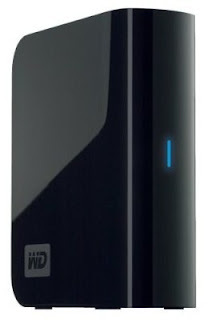 This time, I skipped the four stages, accepted it and made a mental note not to buy Western Digital again.